At the middle of January media spreaded the news about suppying of German diesel generators of MAN to the shipyard «Zaliv» in Kerch. And here the western equipment is ones again in the Crimea dispite the sanctions. How do you like it? What a trick! Well, this time media lighted up this news dryly. Siemens, Adidas, Metro Cash Cash Carry, Auchan, Volkswagen, DHL, Valve, Visa, Mastercard, and even the Lithuanian Novus (and thi is especially offensive) — this is not the complete list of all Western companies successfully operating in the Crimea. Many of these companies work there quite legally. So, here are the schemes for circumventing sanctions. In the list of restrictive measures approved by the European Union on July 30, 2014, a separate ban on European enterprises for work in the energy, tourism and financial sectors was registered. That is, the European energy equipment should not be supplied to the peninsula, citizens of EU countries should not own Crimean hotels, and European banks and payment systems should not work in the Crimea. The same restrictions apply to American citizens and corporations. However, of al, there is no foreign hotelowners at the peninsula. Not yet. A recent example. Last July, a scandal erupted in Europe over the supply of gas turbines by the German company Siemens for the construction of power plants in Simferopol and Sevastopol. The issue of violation of the sanctions regime before Siemens was put in the Eastern Committee of the German economy — the collective body of German business unions. «No German company can afford to be suspected of evading sanctions,» said the committee’s General Director, Michael Harms. The case ended by this puplic statement. Today Siemens has a case in the Russian cour. The company demands turbines to be returned from Crimea to Taman. In the first instance, the German company expectedly lost, and in the Federation Council have already stated that the turbines will not return from the Crimea in any case. In a word, they remain in the Crimea, and Siemens becomes a victim. Well Wartsila from Finland refuses to fallow this way and rejectts offer to supply gereratort to Kerch. But soon in Kerch appears a required number of gerators from German MAN. The spechers from the company claims that they have nothing to it and that generators could be taken from the other territories of Russia. So it generaly looks like companies became victoms and that Russians turned everyone around finger. It’s hard to say whether the German companies knew that their equipment would be in the Crimea, or they were actually deceived. However, we have an unequivocally working scheme for circumventing sanctions. After the annexia of Crimea Visa and Mastercard declared they were leaving the peninsula. And they left. About a year in the Crimea could not be paid by bank cards of these payment systems. However, in 2015, the cards started to work. Moreover, the Crimean banks begam the emission of that cards. «Our corp executes US sanctions,» representatives of Mastercard responded to media requests. «Visa strictly follaws the legislation applicable to its activities. In accordance with the sanctions imposed in December 2014 by the Office of the US Treasury for the Control of Foreign Assets, Visa can not provide services and offer its products on the territory of the Crimea», — the Visa said. And it was truth. It turned out that the Central Bank of Russia managed to play its own game. Centarl Bank obliged to transfer processing centers for servicing domestic Russian transactions up to the territory of the Russian Federation. After that, employees of Visa and Mastercard were forced to state that they simply can not track transactions from Crimea. «In fact, they work with us without our knowledge,» a source familiar with the situation told to media. «When the processing cenre was created in July 2014, we were simply compelled to transfer internal Russian operations, including the Crimean ones, to processing there. Such was the requirement of the law, otherwise it was possible to lose the entire Russian market. Now the situation is as follows: the Crimean transactions are not processed in the US, as it was before, but in Moscow. We continue to carry out sanctions formally, but in practice we were simply pushed aside. Nevertheless, Visa and Mastercard payment cards issued by Crimean banks are unsuitable for use abroad. In April 2017, the Prosecutor’s Office of the Autonomous Republic of Crimea (the structure of the Ukrainian procuracy) instituted criminal proceedings on the fact of work on the peninsula of the shops of the French trade network «Auchan». The company not only continued to work in the Crimea, but also brought products for their stores through the Kerch ferry crossing, which is a direct violation of the EU sectoral sanctions. The results of the prosecutor’s investigation were forwarded to the European Commission. Then the reaction of the trading network followed. Antuane Pernot, senior vice president of communications at Anschau Communications, said in an interview with RNS: «We decided that we will continue to offer some vital products to the population of Crimea, in particular food products, and we will not reduce the number of jobs.» Pernod noted that the work of Auchan in the Crimea does not violate the sanctions. And this is true: the company’s Crimean assets after the «Russian Spring» were re-registered to a Russian legal entity — LLC «Auchan». «Russian retailers operating under a franchise are subject to the laws of the Russian Federation, and not to the legislation of the European Union,» the press service of Auchan Holding explains. There were no consequences for the French company of the criminal case instituted by the Prosecutor’s Office of the Autonomous Republic of Crimea. The example of «Auchan» was followed by another network of hypermarkets — the German Metro Cash & Carry. Metro has two stores in Crimea: in Simferopol and Sevastopol. After the «Russian spring» they were rewritten to the LLC «Retail Property 6», established on November 20, 2014, registered in Moscow. That is, from under the threat of sanctions, all Metro structures have been withdrawn. After the introduction of sanctions, work in the Crimea stopped a number of popular electronic services: AppStore, Google Play, game stores Origin and Steam, the educational service Coursera. The solution of the problem in this case was born earlier than the problem appeared: anonymity on the Internet existed long before the «Crimean spring». Today almost every Crimean on the tablet, phone or computer has an anonymizer or VPN service, thanks to which his IP-address is identified not as Crimean, but as Moscow, Nizhny Novgorod or even London. Thus, although Google and Apple do observe sanctions against the Crimea, in fact on the peninsula the prohibitions do not work. On January 3, 2018, the Minister of Foreign Affairs of Ukraine, Pavel Klimkin, broke out in an angry tirade against some Western companies operating in the Crimea. 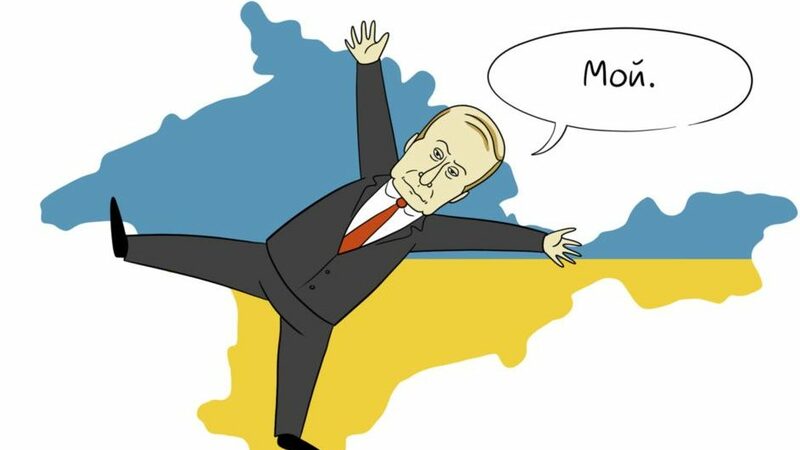 «There are companies that allow their retailers — such as Volkswagen or Adidas-Crimea to rank (themselves) in Russia. We will get them not only through political, but also legal methods», — Klimkin said. Volkswagen’s reaction was followed the next day. «Concern brands adhere to sanctions and follow the decisions taken. Opposite estimates cause us to be surprised, «- said in the press service of the German auto giant. In the company Adidas, Deutsche Welle journalists were also told about compliance with the sanctions regime. And, it seems, they did not lie. I have studied the list of sanctions of the USA and the European Union against the Crimea. The United States has indeed imposed a strict moratorium on its business for its enterprises. Americans have no right to deliver to the peninsula no goods, even through intermediaries. EU bans are much more liberal. Restrictions are of a sectoral nature: European companies can not work in Crimean oil production, Crimean tourism, Crimean banking, energy, or telecommunications. But there is no ban on trade in cars, clothes and food. Moreover, in a number of EU countries, state authorities legislatively have powers to issue permits for the sale of goods and services in Crimea.